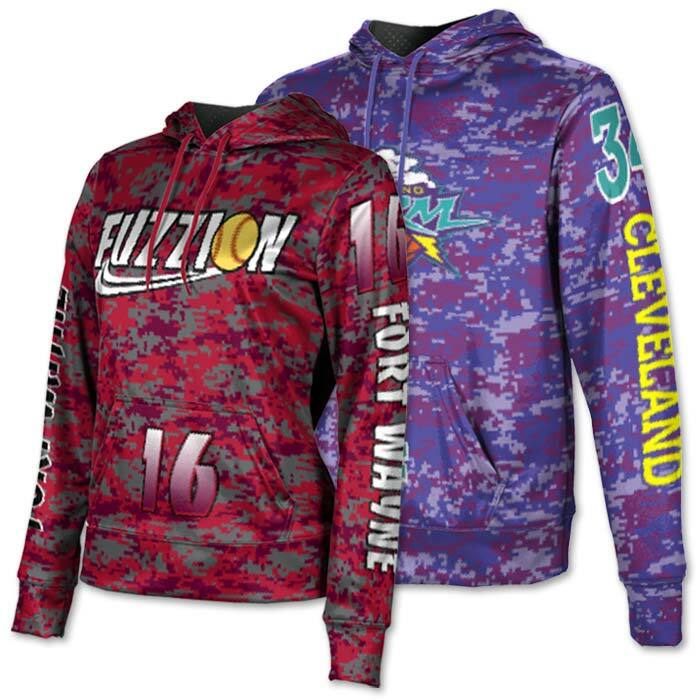 ProSphere Digital Camo Hoodie – HERE’S THE DEAL! 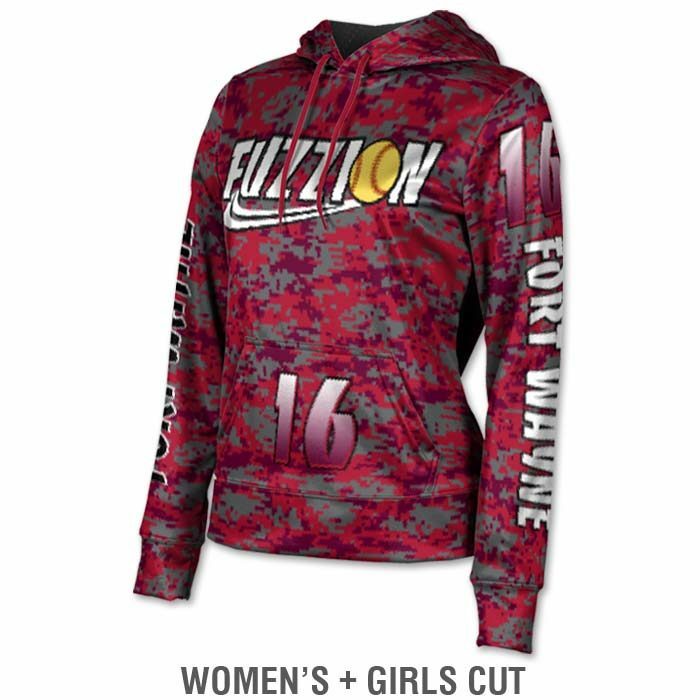 Our ProSphere Digital Camo Hoodie is completely designed by YOU. 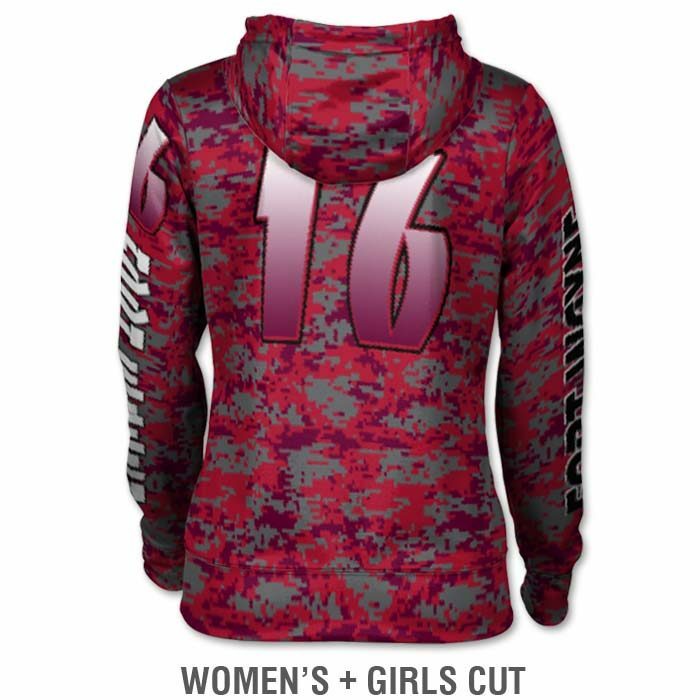 You’re looking at the Digital Camo design from our ProSphere line. 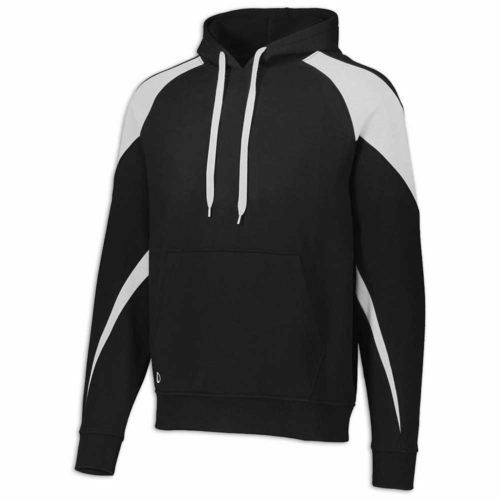 We have over 25 different ProSphere hoodie design options to choose from! 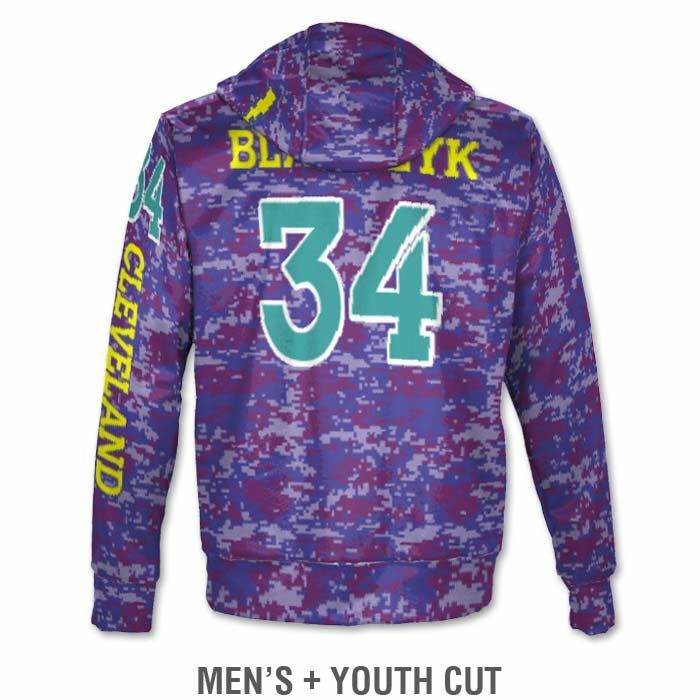 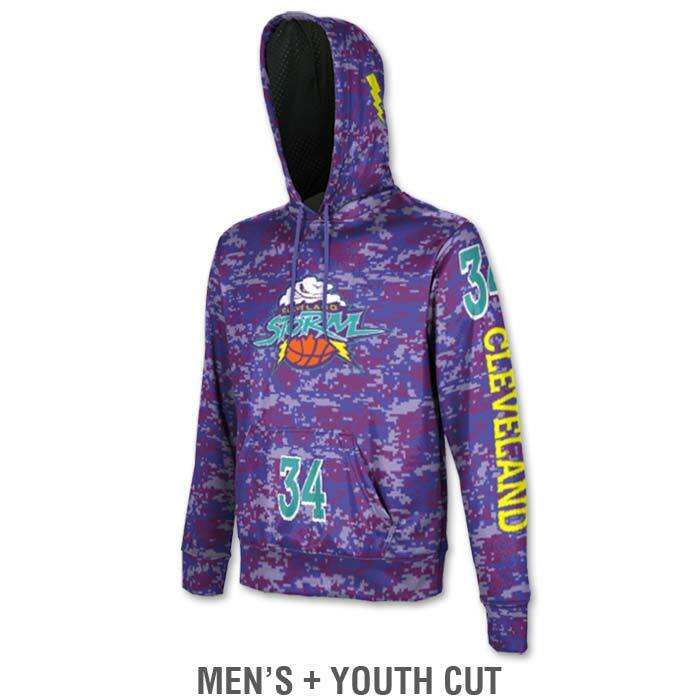 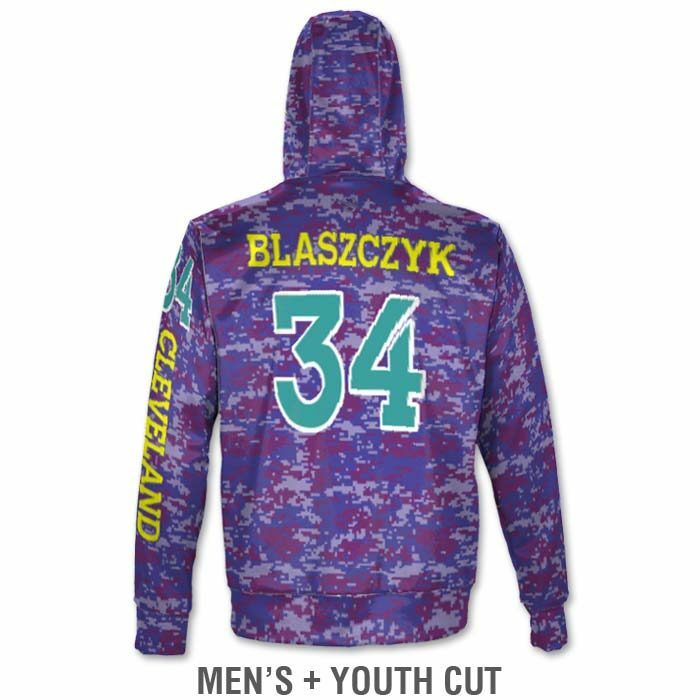 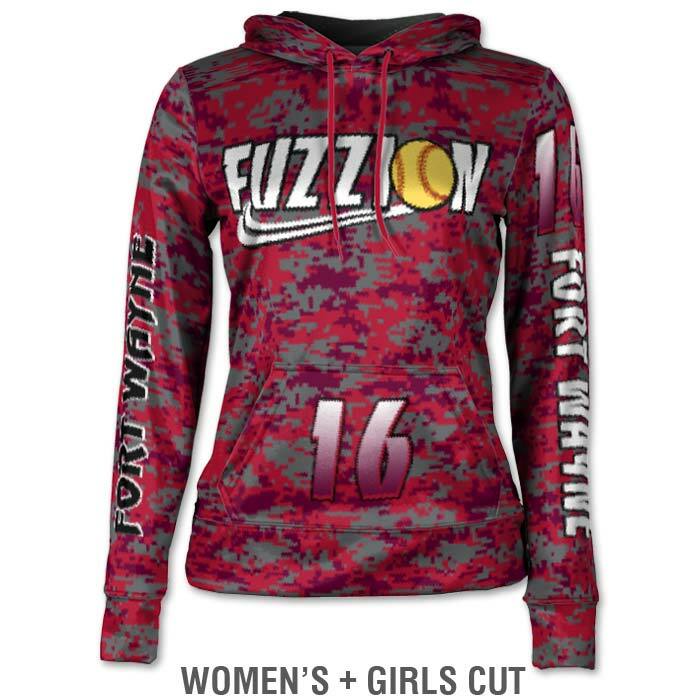 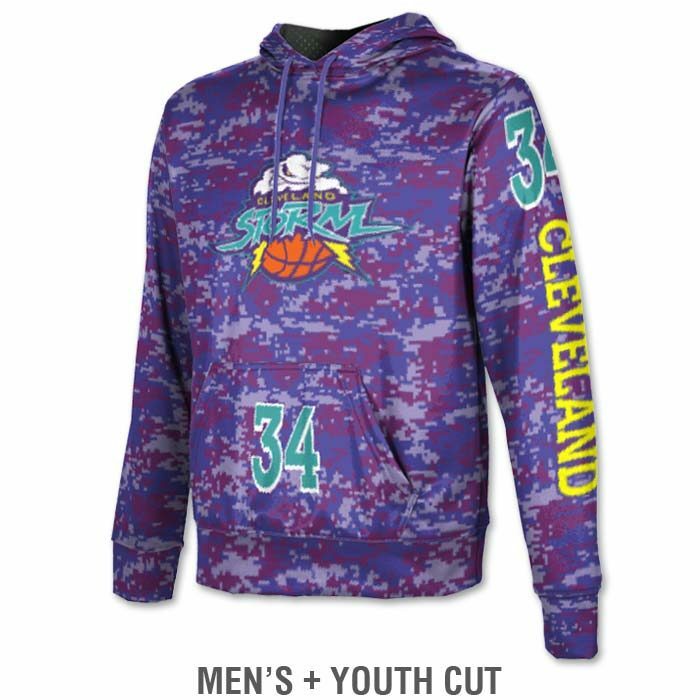 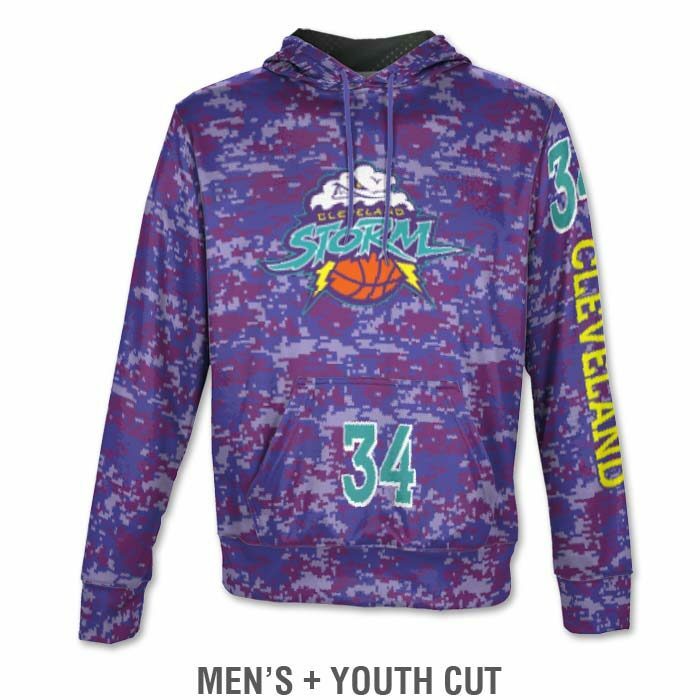 – PROSPHERE DIGITAL CAMO HOODIE DESIGN, TEAM NAME, PLAYER NAMES & NUMBERS are SUBLIMATED — that means they are dyed directly into the fabric — which means, you don’t feel them at all. 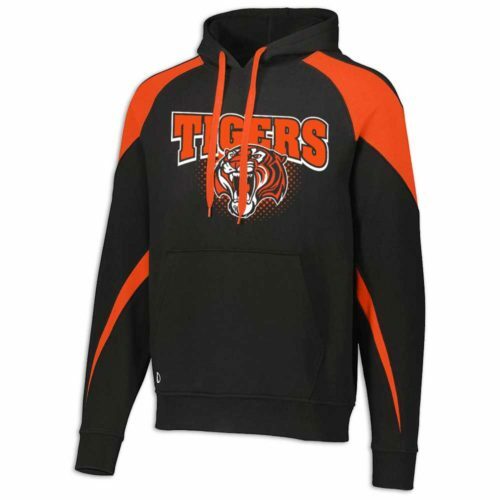 And they don’t peel, crack or fade.